The history of crazes is an enormously rich subject. We seem to be in the middle of a craze for fidget spinners, of which all sorts of varieties are on sale in the Strand. In 1784, the Strand was a key location for what became, for two or three years, a mad craze for balloons – so mad that balloon madness – or balloonomania – swept around Britain once it had landed from France. One of the people most responsible for the excitement was a dashing young Italian, Vincenzo Lunardi, who came to London as the Neapolitan Ambassador’s secretary. 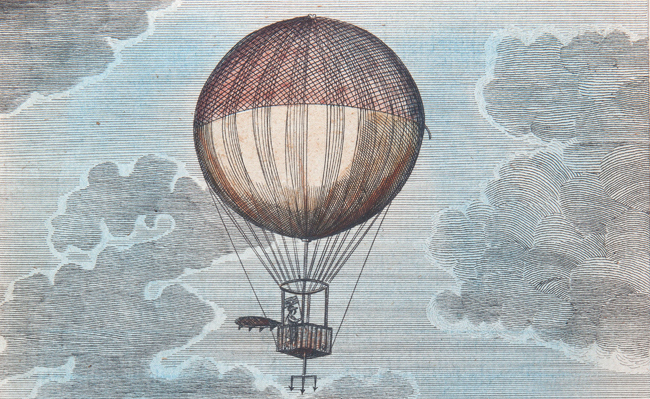 Coming across various gentlemen engaged in science in London, and enthused about experiments, Lunardi planned to make a balloon flight in emulation of those aeronautic pioneers who had made and flown in balloons in France during 1783, including the Montgolfier brothers, who used hot air, and a professor of physics, Jacques Charles, and two engineer brothers, the Roberts, whose alternative design used inflammable air, or hydrogen, to lift a balloon. Lunardi went for the latter design – it was simpler to fly, in that you went up by ditching ballast and down by emitting gas from a valve attached to the balloon overhead. The disadvantages were that you had to pay for sulphuric acid, which was then run over iron filings to make the gas. It was said the charlière cost the equivalent of £400 to fill – so pricey that Lunardi, like other would-be aeronauts, opened a subscription to raise funds. Subscribers could go and see the balloon during its making… and his balloon was on show in the Strand’s Lyceum in September 1784. The Lyceum was home to plays, dances and musical entertainments – it later housed Philip Astley’s medley of equestrian feats and the first showing of Madame Tussaud’s waxworks. 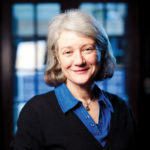 Subscriptions came in slowly, according to Lunardi: the concourse of visitors were numerous and splendid, reported the Gentleman’s Magazine, but most paid an admission fee rather than a subscription. The balloon was made of oiled silk in red and white stripes; it was thirty-three feet across and had a gondola below for its human occupant. Less magnificent than the Montgolfiers’ richly decorated balloons, it nonetheless had a huge claim on public attention as the potential means by which the first witnessed flight in Britain would be made. But then a quarrel arose between Lunardi and the Lyceum manager, who claimed he was owed money and locked up the balloon. A frantic Lunardi finally recovered it – one of many dramas before the momentous 15 September 1784 when he finally made a successful ascent in front of a historic crowd of 150,000 people who assembled around the Artillery Grounds in Chelsea. He made a successful descent too, landing in a field near Ware in Hertfordshire where there is now an inscription to mark the spot. If you’re on the M25 near South Mimms, you’re close to it. The European Magazine’s portrayal of the crowds watching Lunardi’s departure. When Lunardi return in triumph to London, balloon madness reached fever pitch – he was feted by crowds, deluged with invitations, acclaimed everywhere. He recouped a bit of money by selling an account of his exploits, and he exhibited his balloon – not in the Lyceum, funnily enough, but in the Pantheon on Oxford Street. The cat and dog who had accompanied him (and returned half frozen) became famous too. Lunardi went on to tour the north of England and Scotland until the craze fizzled out – as crazes do, but also because nobody could crack the problem of how to steer a balloon, which made them disappointing as a form of future transport. But had you been on the Strand in the autumn of 1784, you would have seen small paper balloons sent aloft at night, lit by spirits of wine, floating overhead like will-of-the-wisps. You might also have visited Allen Keegan, an umbrella maker of the Strand, who built a Montgolfier balloon eighty feet across and eighty-four feet high. He lost hundreds of pounds when the apparatus caught fire in Lord Foley’s garden at Portland Place, from where it was supposed to be making a magnificent ascent. Keegan took his partner in the enterprise, John Sheldon, to court, where recriminations were aired – and his suspicion that the balloon’s fire had been stoked deliberately recklessly in order for someone to win a large bet. Keegan lost the case. You can read more about balloons in London and elsewhere in Britain in my new book, Balloon Madness (Boydell & Brewer 2017).